One of my fave Christmas tradition is decorating the tree. 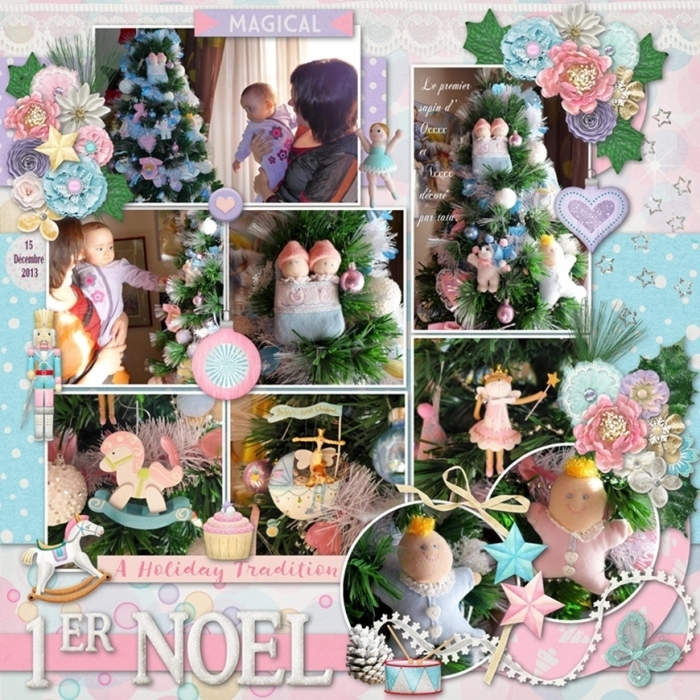 This year of 2013, my sister did it brillantly for the first Christmas of her niece and her nephew. I was so touch and so grateful! This is so precious and this kit goes perfectly for your photos! Gorgeous! J'adore toutes tes photos! Super mignon! You're doing such a good job with clustering lately. Beautiful layout! And look how tiny your kids are. I keep telling you that, but they are really so cute! Love all the ornaments as well. This is so cute and precious! Loving all the details on this page!